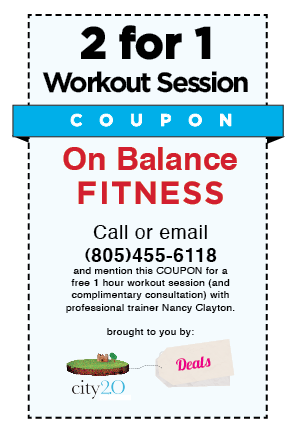 To redeem, present or mention (print or phone) this coupon to Nancy Clayton On Balance Fitness. Have a business? Want to try our coupon program? Contact us.